Welcome to the home of mengls.com. This website is for everyone seeking further guidance and knowledge on all those vital business and financial matters. Whether you are a business or an individual looking for superb quality content, this is the place where you will find everything you require. We are the Mengls family, and we will be your hosts throughout this innovative and trending website you see before you! 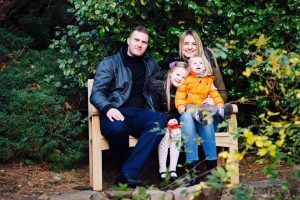 Our family unit is made up of husband and wife team, Edward and Tanya Mengls, alongside our two beautiful young children. We live in Rotterdam and, for those who have no knowledge of the area, it is a city in the beautiful Netherlands but known to the locals as the financial center of the Netherlands. It, therefore, seems fitting that we run our business and finance consulting firm from its very center! We often get asked how we began our website, and the truth is, we saw a gap in the market where both business and individuals could access good quality and relevant content which they could then apply to their own circumstances. Above all, we are a family run business who have worked extremely hard ourselves to get where we are, and it has made us believe that it is possible to do the job that you enjoy, and we wanted somewhere that would reflect this mantra. Together we have an extensive background in both the business and finance industry, and we work very well at each others side! It made sense to look at combining our impressive skill set and years of expertise and offer them to others who perhaps weren’t so confident with their status or career path. It didn’t take long for word to spread about our consulting services and within a few years, we were working at full capacity to provide guidance and advice to businesses of all sizes, as well as individuals in the business and finance industry. It was around this time, as our business really began to pick up, that we realized that we were being contacted by companies and individuals from further afield who were keen to take advantage of the services we were offering. However, as they weren’t near our premises, they weren’t able to get to us quickly. It was this very reason that we decided we didn’t want anybody to miss out on our help, that we began looking at how we could communicate our expertise and knowledge to those who weren’t geographically close enough to visit us. The answer seemed simple – why not reach out online? So, that was what we did, and that was how mengls.com first began life. 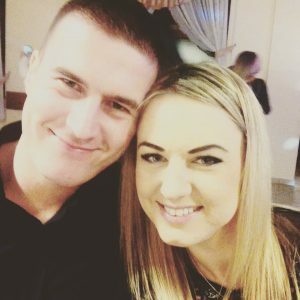 What started out as a small blog, merely to include all those businesses and individuals who wanted to connect with Mengls but couldn’t travel the distance, soon began to grow and, before we knew it, we were getting hundreds of requests per week from people asking for regular updates on the blog! It appeared that visitors liked our approachable style and enjoyed the material that we were beginning to place on the blog, and they were eager to read more. It was at this point that we knew we had a responsibility on this platform to offer readers valuable and high-quality material that contained similar advice as to what we would dispense in our consultancy sessions. Therefore, we took a few days off from our roles and worked on creating a website which we would be proud to have represent our family business; and this is the result! Mengls is the place for anybody who has a business, works in the industry or who may even be trying to create their own. It is also for individuals who want to improve their knowledge further. Whether you are interested in being the first to know about new business developments, how the banking system works, how you can improve on your management techniques or whether you want to get involved in the stock market. You will find all the relevant information that you need to do this, and so much more at the home of mengls.com.